Don’t waste time at Pompeii. With this skip-the-line experience, you’ll avoid the long general entrance line and step straight inside for a tour of UNESCO World Heritage–listed archaeological site. As you explore with a guide on foot, you’ll discover how the city existed thousands of years ago, before the infamous Mt. Vesuvius eruption of AD79. 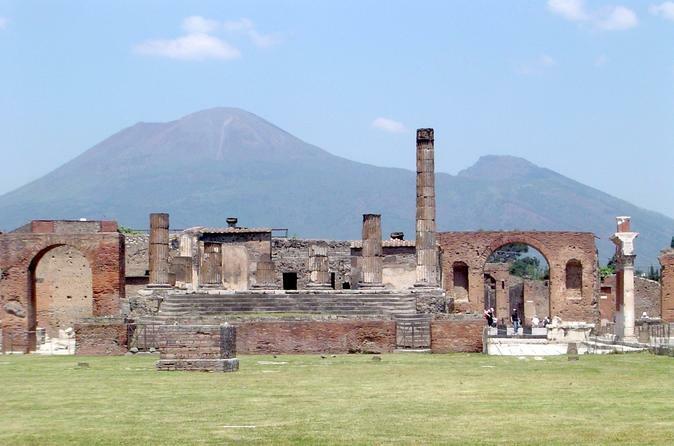 All the key Pompeii sites are visited including the Roman Baths, the theater, temples, and more.